Hello all, I know it has been a while but I have been kinda busy here so I am doing my best. I have to let you guys know some new things going on. I have a new book. I will give anything a try once I suppose. When I was reading the cover it just seemed to be describing me so I am going to give this a shot. I am not all the way through with it but I have started the program somewhat. As of today, I have gone completely organic, or the best option that was avaliable. So far I feel no different and have no results (hello, less than 18 hours) but I will let you guys know how it goes. I have high hopes. And my workouts are still going good. I have been working out on my treadmill in the mornings at home so I don't have to shower at the gym. It is hotter that blue blazes in my house so its like a run and a steam all at the same time. Then still getting in my workouts at night at the gym. One thing that I have been slacking on is my weights. I have noticed that I missed a week of weight training without even noticing so tonight I will hit the weight room and try to get back into the habit. It just kinda slipped away. That's pretty much all with me right now, I will let you know how the Organic thing works out. I FOUND ORGANIC KETCHUP SO I SHOULD BE JUST FINE!!!!! I don't know if you remember me, but I used to live in Flintville-Stephanie Morris at the time. 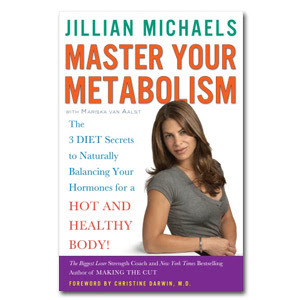 Anyway, I love your blog and you have inspired me to read the Master your Metabolism book. I am a nurse, but this still kind of blew me away. Common sense, but why have we been ignoring it for so long? How is it going? I have managed to clean out the pantry and get rid of all the partially hydrogenated oils, but I will confess, i did keep a few things that had HFCS in them. I can't bear to throw them away. We will have to eat those! I live in Decatur, so shopping for really good food is a challenge. Where do you find your best organics/clean foods?